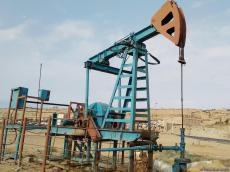 There are more possibilities to increase oil production at Azerbaijan’s Muradkhanli-Jafarli-Zardab block of oil fields, Trend reports citing Andrea Cattaneo, CEO of Canada’s Zenith Energy company, the operator of the onshore fields. "There are more possibilities to increase the production, because we have changed the strategy and instead of indulging more on workover that is obviously cheaper, planning to increase the production, we have gone straight to a drilling campaign. We have in the meantime acquired two workover rigs, which will continue to work very well for us. Our BD-260, which is a huge drilling equipment has been imported from the factory in Italy into Azerbaijan these days, with the last truck arriving in the next seven days," Cattaneo told Total Market Solutions. He went on to add that after March 26, the company will have erection of the huge rig and then start drilling at C-37 in Jafarli field. "This time the drilling will consist of a few hundred meters. But then there will be a second deepening and third drilling. The drilling will take maximum three weeks. C-37 should produce good indication of the structure that we are investigating," said CEO of Zenith Energy. Then the company will proceed with deepening of C-40 well, he said, adding that the results of two well deepening will allow to decide on where to make the first fully new well. "After the first well, we will make the second, the third and fourth new wells," added Cattaneo. Azerbaijan’s state oil company SOCAR and Zenith Aran Oil Company signed a Rehabilitation, Exploration, Development and Production Sharing Agreement (REDPSA) in March 2016 for a block that includes the Muradkhanli, Jafarli and Zardab oil fields. Zenith Energy Ltd established its subsidiary company Zenith Aran Oil Company Ltd for production operations in these three fields. Production under the agreement began in August 2016. Zenith holds an 80-percent participating interest in the three fields within the contract area, while SOCAR retains the remaining 20 percent. The agreement is for 25 years, with a potential extension by five additional years. The total area of the Muradkhanli, Jafarli and Zardab fields is 642.2 square kilometers, and according to the contract, it is divided into rehabilitation and exploration territories.